What a way to start my year! If there’s one thing that I can say was spoken to me over and over again by God at Passion it was this, it is not about any other name other than the name of Jesus Christ. 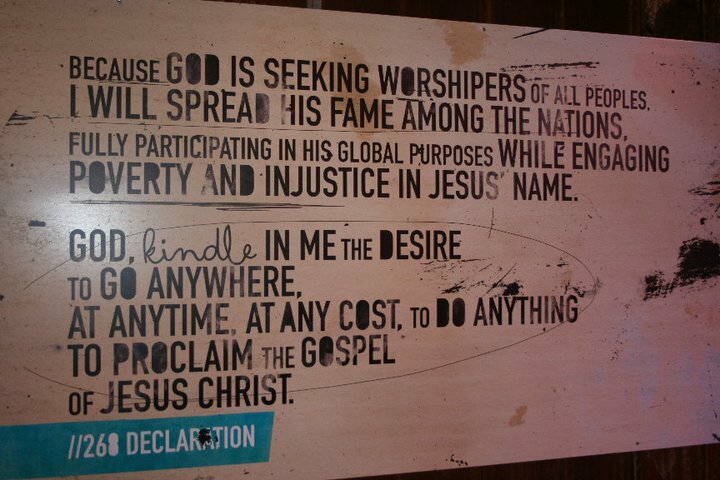 Months ago when I made my plans to attend Passion 2011, I didn’t have many expectations. I’ve grown up most of my life going to conferences and “events” and I didn’t assume that Passion would be any different. When I reached Atlanta and walked into the middle of a movement, I realized something, I wasn’t at an event, I was standing smack dab in the middle of a moment that would forever shape my history. While it would’ve been understandable to be taken aback by the beauty and splendor of Atlanta, I knew immediately it wasn’t that which was tugging at my heart. I knew that regardless of how fascinating the facilities and how beautiful the surroundings that there was something deeper grabbing at my heart. This was something that went beyond what I could see naturally. I can’t tell you what every speaker said, most of it seems to all run together. There are lines, thoughts, scriptures, stories that all seem to flow together in my head and yet there is no preacher’s name attached, there is only one name: Jesus. When referring to the days of January 1-4, I might say that I was “at Passion”, the truth is though, I was with Jesus. It wasn’t an event, it wasn’t a bunch of services strung together, it was a divine moment in time when everything stopped and God breathed. It was a moment that changed everything. I imagine that when Moses saw the burning bush, John experienced all of Revelation and Paul was confronted and blinded on the road to Damascus that everything stopped and a whisper came that so violently and beautifully said, “This is it. This is truth.” How can a whisper be violent, beautiful, heart-wrenching, earth shattering all at the same time? 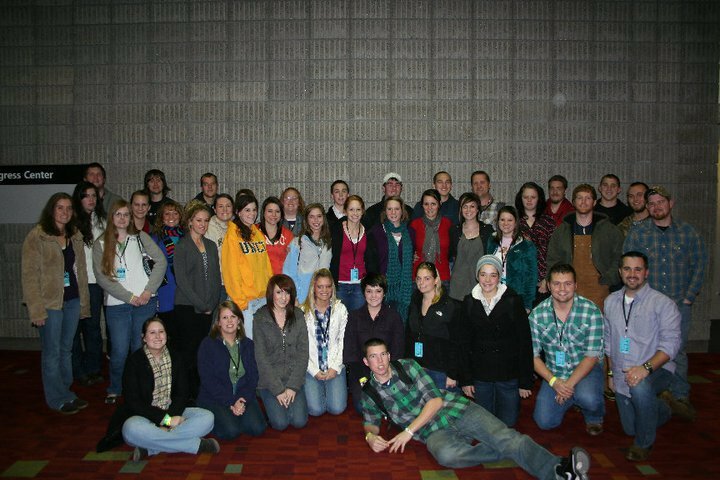 I don’t know, but I know that’s the best way to describe what God did in my life at Passion 2011. My prayer in coming home was this: I don’t want to waste another second of not making Jesus known. I don’t want to spend my life on anything else. I have found someone worth giving everything for. I don’t know where I’m going. I don’t know how I’ll get there, I don’t know the specific details of my daily schedule, but I do know this: I know what I carry. I carry the name of Jesus. There is a moment for everyone when something clicks. It’s a moment when everything you’ve heard becomes real, tangible, evident. I had this moment and it started on January 1 and has continued since. I’m living in a moment, called life, that is but a vapor, but that is going to be used to make the name of Jesus known. It’s not about how many things I can put my name on, how many people can clap for me or how many pats on the back I can get. If my name is never mentioned, so be it. His name is above every other name. I write all of this to say one thing, may there be a moment for someone at Passion 2011 in Ft. Worth or may there even just be a moment for whoever reads this. May there be a moment where all else seems to blur and one thing becomes the center of your focus, Jesus. My heart is changed and my feet are set in motion. I send this to say, I’m doing it. I’m going for it. The cost has been presented and it is worth everything. Jesus and making him known is worth everything. What a great way to start your year! Being with Jesus. I always feel so spiritually refreashed after times like that. How wonderful to do nothing for four days but be with Him! Previous Previous post: Social Networking Christmas. Next Next post: The Circumstance Dance.